The fallout from the shooting of Trayvon Martin continues to unfold (In case you've been living under a rock and don't know the story, read all about it here). The key detail in the story is how Martin's murderer Robert Zimmerman felt the young man looked threatening simply because he was wearing a hoodie. This statement has sparked outrage and lead to idiotic statements by Geraldo Rivera as well as inspiring a Million Hoodies March in NYC demanding justice in Martin's case. The story has become such a national issue that even celebrities are starting to get involved. Lebron James recently tweeted a photo of the entire Miami Heat team drapped in hoodies in support of Martin. 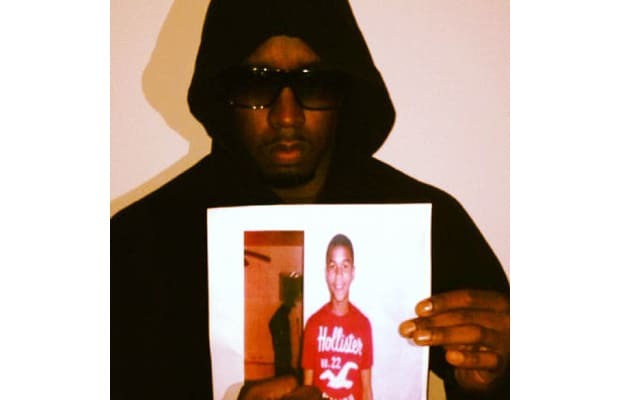 Rappers like Diddy, Nelly, Ludacris, and Swizz Beatz have also tweeted photos of themselves in hoodies as a show of solidarity. But hoodies are nothing new in hip-hop, so we went and dug up 50 Pictures of Rappers Wearing Hoodies. Wonder if they look "threatening" too?